That’s exactly what the STAMPARATUS can do for you! Introducing the new stamp positioning tool from Stampin’ Up! If you are anything like me and dying to get your hands on this great new tool… the reservation window is now open and will remain open until December 30, 2017. You must have a credit card to reserve your Stamparatus but it will not be charged until the product ships in March. Speaking of shipping… they will be shipped on a first in / first out priority. That means the sooner you reserve it, the sooner they will ship it to you. They will not be closing this reservation window early. (If you are up on your latest Stampin’ news, you will know that the first reservation window was for a limited number of units that were gone in 15 minutes). If they sell 100, or 1,000,000, the window will remain open for the full length promised. And, most importantly… this is your last chance to reserve a Stamparatus before made available in the 2018-2019 Annual Catalog in June. Do not wait… RESERVE TODAY!!! 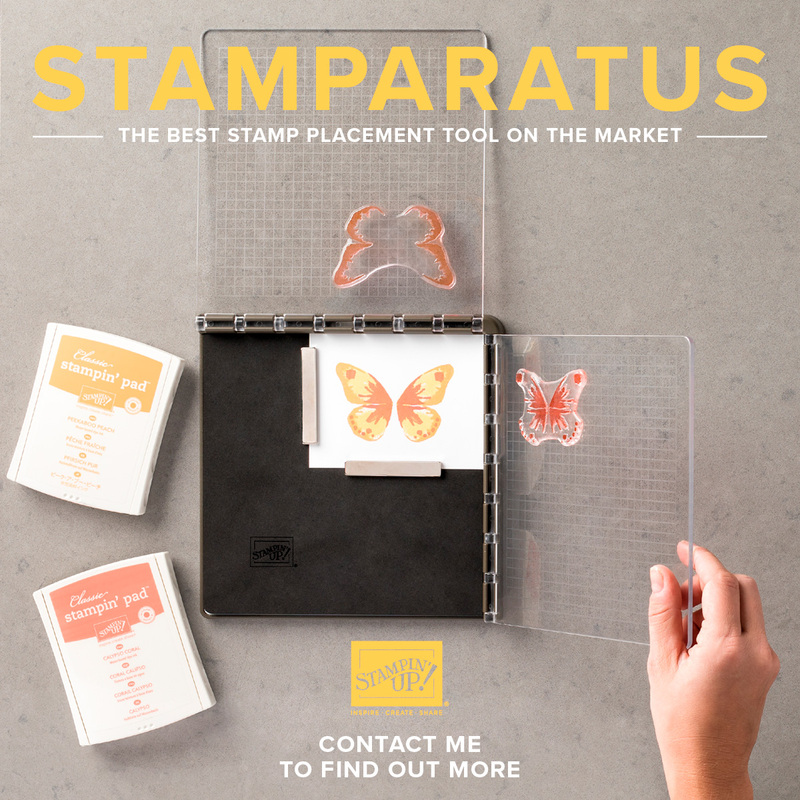 Not sure about it yet… well, check out the Stampartus in action! Ready to reserve but not sure the steps… Check out this cheat sheet! Let me know if you were successful or if you need some help!